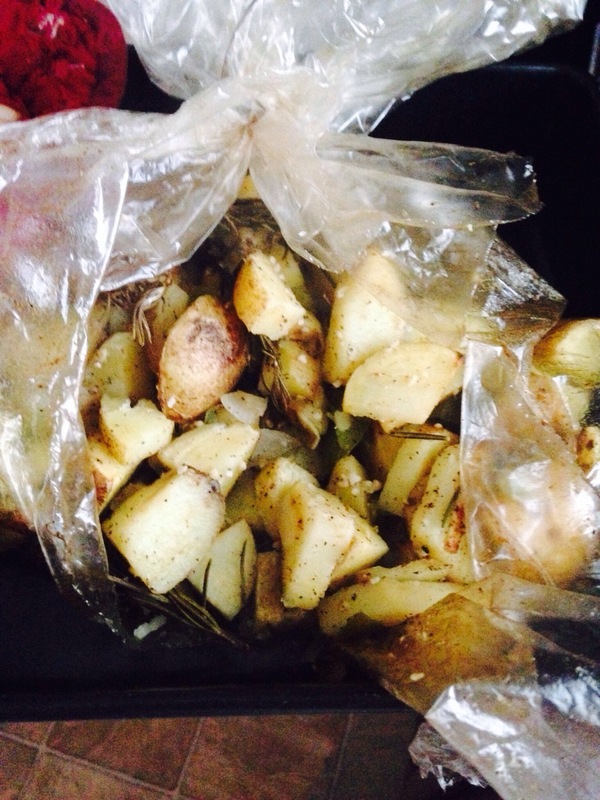 Here is an easy way to make nice healthy breakfast potatoes or potatoes as a side to your dinner meal. 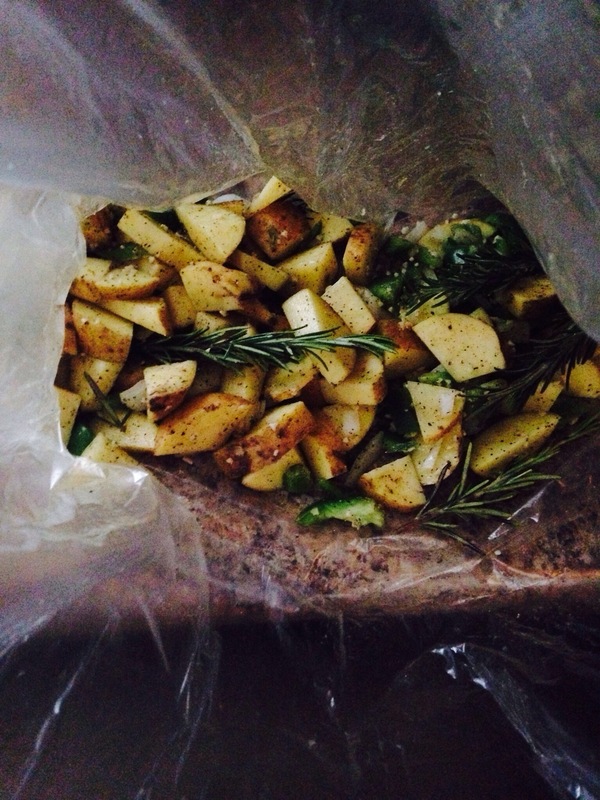 I simply got a couple of russet potatoes and rubbed olive oil all over. I then chopped each potato into small cubes and threw into one of my oven bags (most people use for whole chickens or meat dishes). I threw in minced garlic, yellow onions, green peppers, fresh rosemary leaves, salt, and pepper. I tied the bag closed and punctured 2-3 cuts for ventilation. I placed on a baking sheet and put in the oven at 350. I cooked the rest of my breakfast and then pulled them out. They were delicious!!! The rosemary really gave it that nice sautéed potato taste. Baking it was so much better than pan frying and healthier !!!!! Try it!